To save you hours of research, here’s a list of 10 cruelty-free and vegan hair product brands! If you want more options for vegan shampoo/conditioners, check the list at the very bottom of this post! 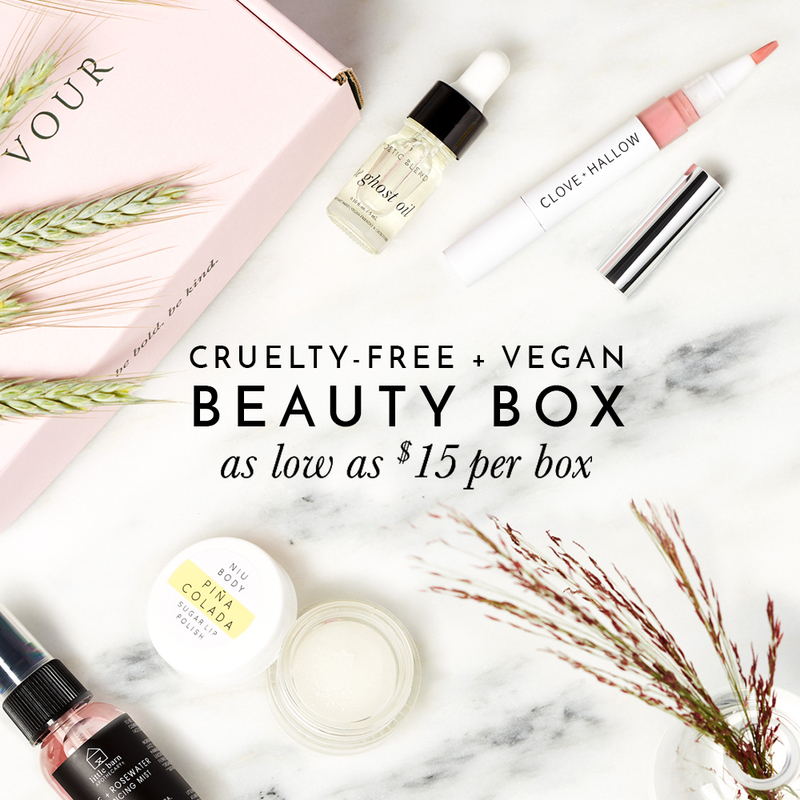 The following cruelty-free brands offer several vegan hair products including shampoo, conditioner, hair styling and treatment products. Please note some of the brands mentioned below are not entirely 100% Vegan, but I made sure to only include brands that have at least several vegan hair products. Almost all of Andalou Naturals’ shampoo, conditioners, hair spray, and balms are vegan with the exception of their Argan & Sweet Orange shampoo & conditioner which contains Manuka honey. I would say about 75% of Aubrey Organics’ hair products are Vegan. Some of their non-vegan products may contain lactalbumin (a milk protein), glycoprotein (derived from oyster shells), lanolin, or egg protein. Aubrey Organics offer several Vegan shampoo, conditioners, hair gel, mousse, hairsprays, and treatments.. they also offer trial/travel size too! DermOrganic vegan hair products are frequently used at professional salons. Even better, all DermOrganic shampoos, conditioners, treatments, hairspray, styling gel, and everything else are 100% Vegan! Desert Essence has countless shampoo and conditioners that’ll help moisturize, strengthen, clean, or protect your locks! They now also have some vegan-friendly hair styling products. Desert Essence uses small amounts of honey and beeswax in some of their products so be sure to read the list of ingredients before buying. Some of EVOLVh salon quality hair products are vegan-friendly! You’ll also be happy to hear that all of EVOLVh products are made using 90% or higher organic ingredients. You can find just about anything to help keep your tresses healthy and happy! Almost all of Giovanni hair products are vegan with the exception of their Magnetic product line which contains lactoferrin. Giovanni has one of the largest selection of salon quality vegan hair products! I’ve tried half a dozen of their products to date and I’ve loved each one. Most of LUSH shampoo, conditioners, and hair treatments are Vegan with a few exceptions that contain honey, beeswax, and free range eggs. I especially love the idea of their Shampoo bars! Pacifica recently came out with a range of vegan hair products which included shampoos, conditioners, hair styling and treatment products. They’re currently only exclusively available at Ulta, and if you’re in Canada… you can also find them at Well.ca! Paul Mitchell is a cruelty-free professional salon hair product brand and I was pleasantly surprised to learn most of Paul Mitchell hair products are vegan! You can easily spot which ones are vegan on their website when viewing each specific product page. Yarok hair products are all vegan and includes a variety of shampoo, conditioners, treatments, and styling products. Yarok also primarily uses certified organic ingredients so they’re definitely a fab option for consumers wanting a vegan and greener selection! Not all of us need hair styling and treatment products so I’ve included cruelty-free brands below that have vegan-friendly shampoo and conditioners! I’d love to know, what are some of your favorite cruelty-free and vegan hair product brands? Kavella hair care is 100% vegan and is cruelty-free also. Davines are also doing eco friendly vegan hair products, please add them to your list! Oh nice! I’ll look into Davines and verify their animal testing policy and potentially adding them to this list, if everything checks out! Could anyone tell me if Lush is really cruelty free? They have two official websites in China. There are two cases where brands can sell to China without having their products tested on animals. 1. If they sell and ship their products directly to Chinese consumers off of their website and where their products are not physically being sold in a retail store in Mainland China. 2. If they are ONLY distributing or selling their products in Hong Kong. Although Hong Kong is part of China, they have different political laws and in Hong Kong, they do not follow China’s animal testing laws. So LUSH is allow to have a website for their customers in China while remaining to be cruelty-free because they are shipping their products directly to their customers’ home and therefore these products do not have to registered in China. And LUSH can have a retail store selling their products just as long as it’s in Hong Kong. You can also add Kevin Murphy ! Their products are awsome . Kinda expensive (regarding styling especially) but really worthing it ! Hi all. Was wondering if anyone knows of a cruelty free shampoo and conditioner that is jasmine scented? Also, does anyone know if Dove is a cruelty free brand? Hello! I’m so glad I found this website, will definitely help with my transition into a vegan lifestyle. Thank you so much for all of the hard work you put into your website. I’m not 100% positive, but I think the Pureology hair care brand is 100% Vegan. I’ve sent them an email to verify if it is indeed true that this non-vegan ingredient is in their hair product. On their website, it says “Our products are sulfate, paraben and sodium chloride free. They are also vegan, containing no animal products” and that should be changed to say “SOME of our products.” ughs. Thanks for catching that, I’ll be sure to update this post so I don’t cause any more confusion! MalibuC & Verb haircare should be on this list too ? The LUSH shampoo bar is my LIFE. It is the most amazing this I have purchased. My other shampoos got tossed for this. I would like to find a good quality and vegan brand name hair color to dye my hairs. Do you have any suggestions. LUSH has Henna hair dye options. I have not tried them myself, but you may look into it. http://www.lushusa.com/hair/henna-hair-dyes/ Here is the link as well.